It seems a lot of people love a good flower bloom, myself included. Lucky for us, there are some spectacular displays of flora around the DC area. They all occur during the warmer months, though their peaks vary. And there are several places that are particularly great to view them, a few even known specifically for the bloom. Here’s where you can stop, smell, see, and just enjoy the beauty of them all. Plan on amazing photo ops, too! DC’s most famous bloom, in a way, marks the arrival of spring. It may not always be in sync with the calendar, but when the beloved flora start to appear around the city, a collective seasonal shift seems to begin. 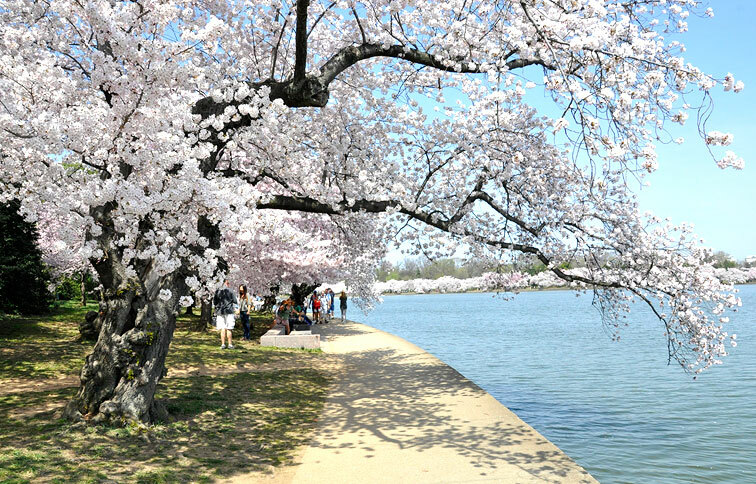 The most iconic place to view the cherry blossoms is at the Tidal Basin, where you can walk the path around the water under a canopy of pink and white flowers. It’s a stunning scene that draws a lot of visitors, so these KFDC tips come in handy when you plan to view them. 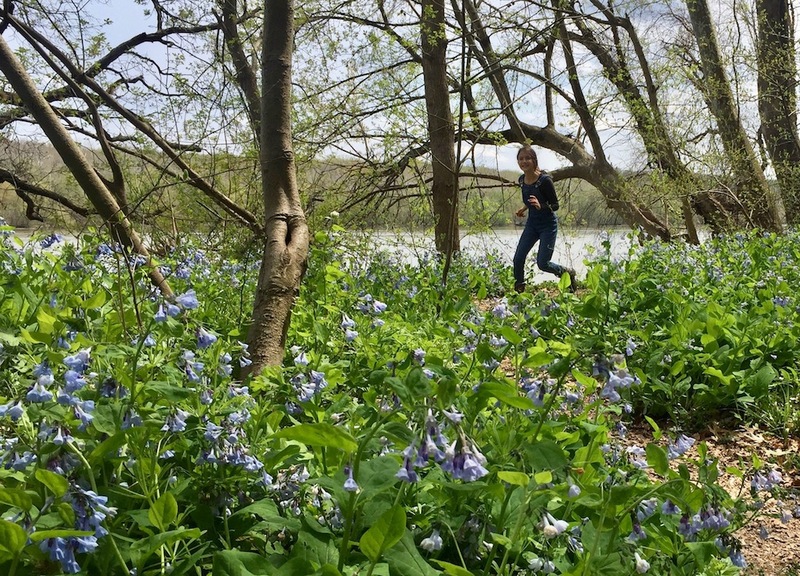 The hike from Riverbend to Great Falls Park is a local favorite, and it’s especially great in spring when the bluebells bloom, lining the trail along the banks of the Potomac River. The periwinkle, bell-shaped flowers add spectacular pops of color to the rest of the still-budding landscape emerging from winter. Every year, Riverbend hosts Bluebells at the Bend, a day of fun festivities, to celebrate the bloom. You can read more about Riverbend here. The National Arboretum is beautiful any time of year, but it’s especially stunning in the spring when the flowers begin to bloom. 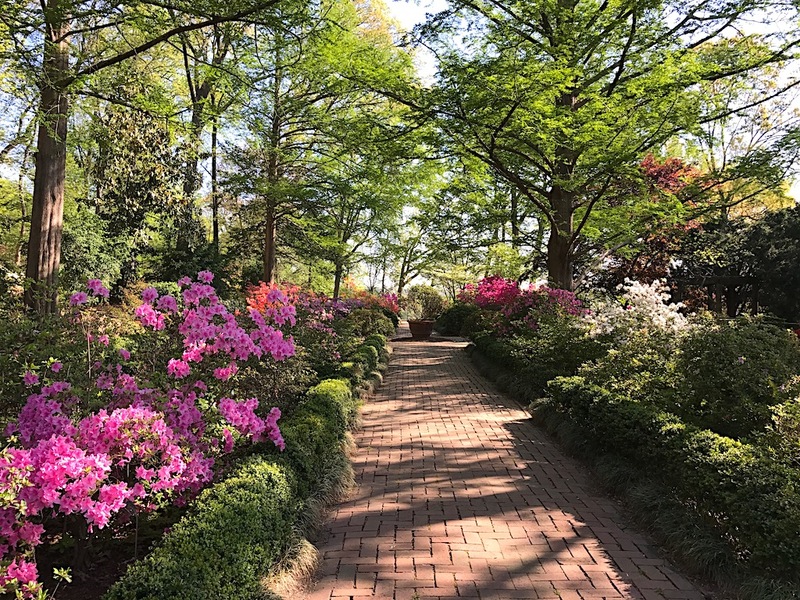 The azalea collection is particularly fantastic and draws visitors from all over to see the vibrant hues blanketing the hillside where they are located. Red, pink, purple, and white flowers saturate the landscape starting around late April and peak in stages over several weeks. If you go see them, plan to make a day of it at the Arboretum — there is so much to enjoy beyond the blooms, too! Burnside Farm’s annual Festival of Spring showcasing the season’s flowers has fittingly also been called Holland in Haymarket (where it used to take place). 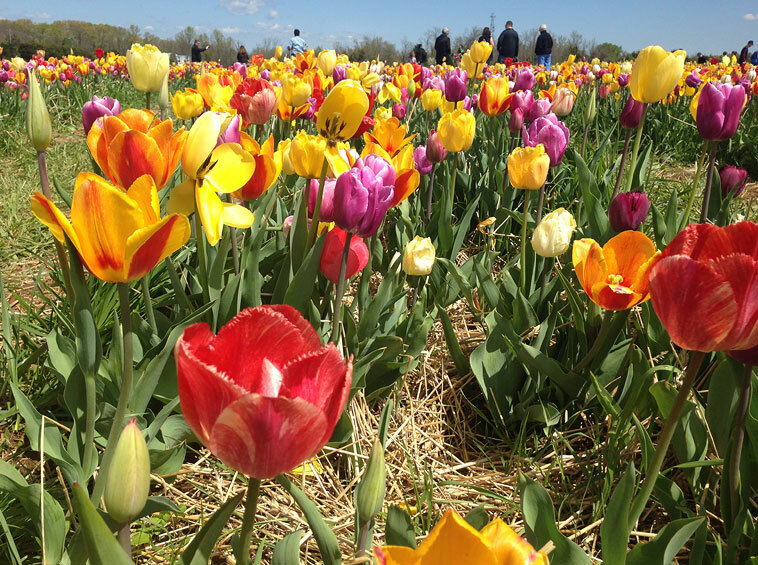 Giant fields contain over 50 different varieties of flowers in a rainbow of colors, and you pick your own to enjoy at home ($1 per tulip, $1 for 2 daffodils). It should be noted that the winter can have an affect on the bloom, and the full crop of flowers may not make it (as happened in 2018). But what is there is always sure to be gorgeous. Have your camera handy for some brilliant photo ops! 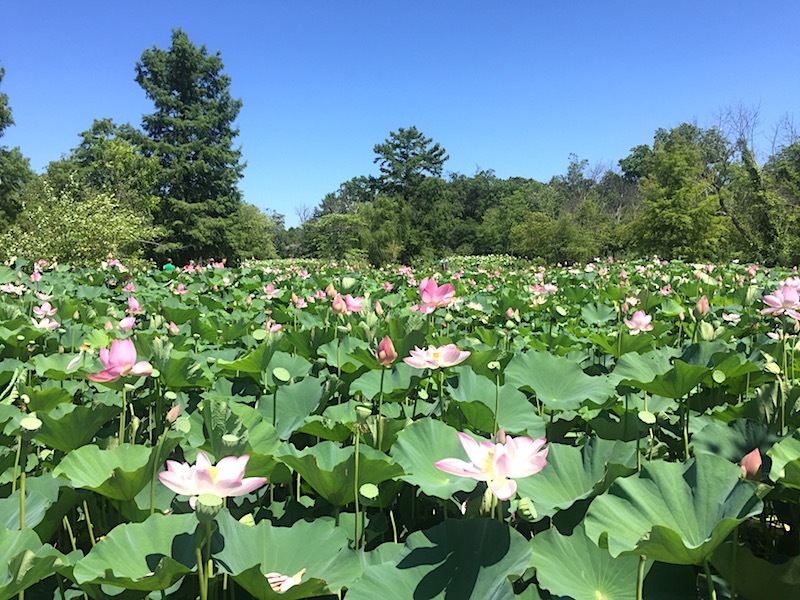 Of all the big annual blooms that occur in the DC area, the lotus flowers and water lilies at Kenilworth Aquatic Gardens may just be my favorite one. Not only is the sight of the bursting pink, white, and peachy hued flora absolutely breathtaking, its secluded location — the park is located in an unexpected part of Northeast DC just blocks from the buzz of 295 — makes it a glorious oasis of beautiful nature in the city. 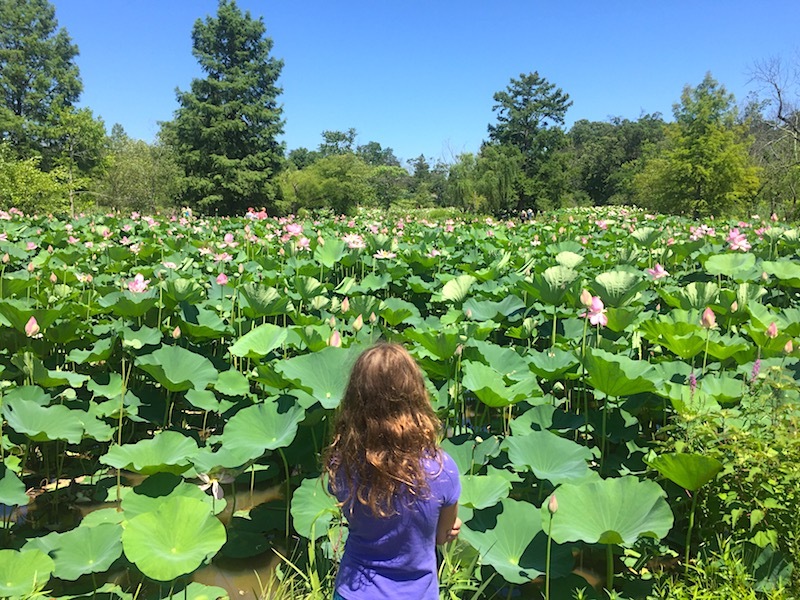 The bloom begins early to mid summer and peaks around the middle of July, and it’s celebrated annually at the Lotus and Water Lily Festival, a day full of activities for kids, cultural dance performances, gardening workshops, and park tours. 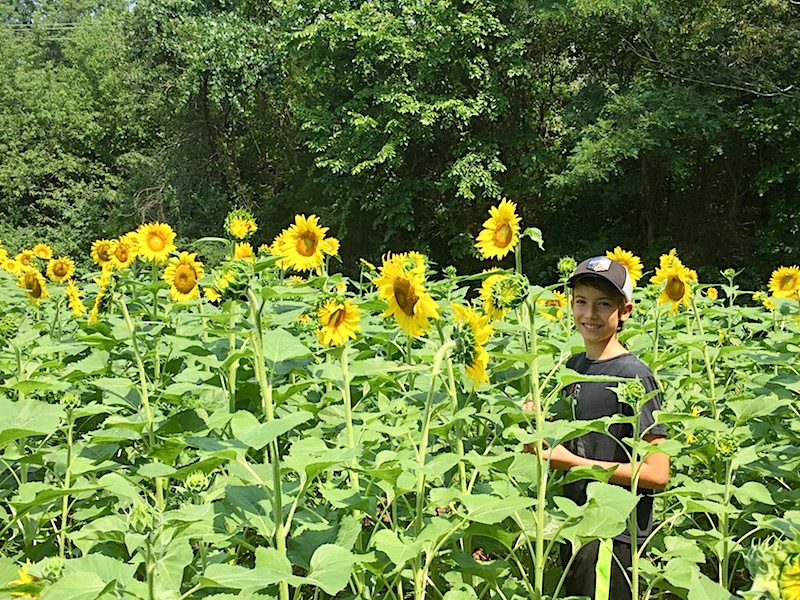 Sunflowers taller than my tall kid! This bloom is amazing! The thirty acres of sunflowers at McKee-Beshers is such a happy sight, like a big congregation of smiling emoji sunshine faces. It occurs during what is typically the hottest time of the year in the area, but it’s worth braving the temps and humidity to experience in person. And it’s right down the street from Homestead Farm, so you can pair a visit to see the stalks of yellow joy with a berry picking outing. Hats, close-toed shoes, sunscreen, and a bottle of water are recommended. 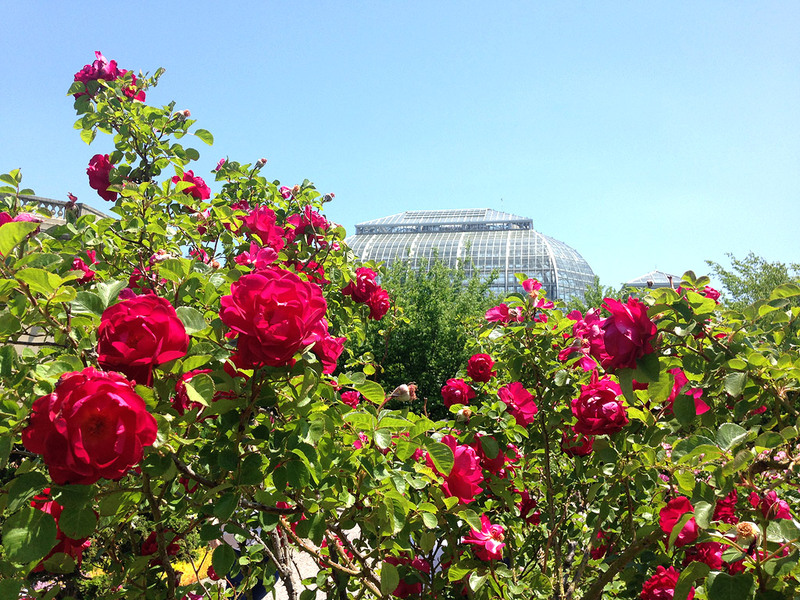 The roses in the National Garden, the outdoor part of the U.S. Botanic Garden, are a lovely sight to see — and smell, of course. Showcasing several varieties that thrive in the Mid-Atlantic using organic methods, the area is a floral sensation during late spring through the summer. There are even more flowers across Pennsylvania Avenue at Bartholdi Park (though roses don’t star), and the rest of the USBG is always fantastic to tour. 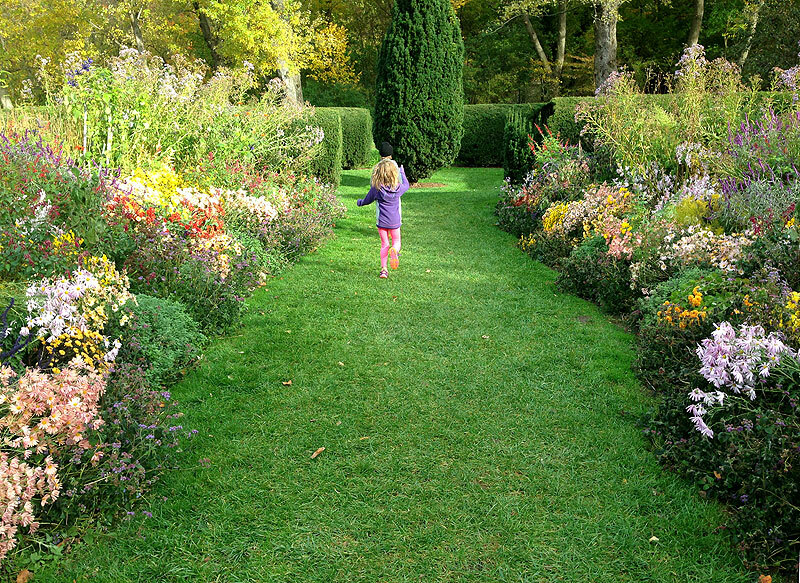 Take little ones to the Children’s Garden, where they can have fun flexing their green thumbs!